The Rifle Brigade Hotel will throw open its doors to stage a summer showcase – and fundraiser for the city’s premier music festival – on Sunday, February 17. Sixteen acts – mostly home grown, along with several from Melbourne – will perform across two stages from 11.30am to 9pm. From Grim Fawkner to Groove Juice, Highway 79 to The Deans Of Soul, and the Erica Hawkey Band to Alister Turrill, there will be a musical smorgasbord for fans to feast on. “The list of acts to perform at this showcase event includes some of Bendigo’s best, along with some fresh faces from the larger blues, soul, jazz, folk and original music circuits,” festival director Colin Thompson said. “These artists are donating their time and talents, as do the festival’s volunteer committee and crew, to help kick-start the kitty to pay for the festival itself.” Tickets are available at the door; $20 for adults; $5 for under-18s; and free entry for under-12s. The summer showcase will wrap up a weekend that kicks off on Saturday, February 16, with Summertime Blues at the All Seasons Hotel. 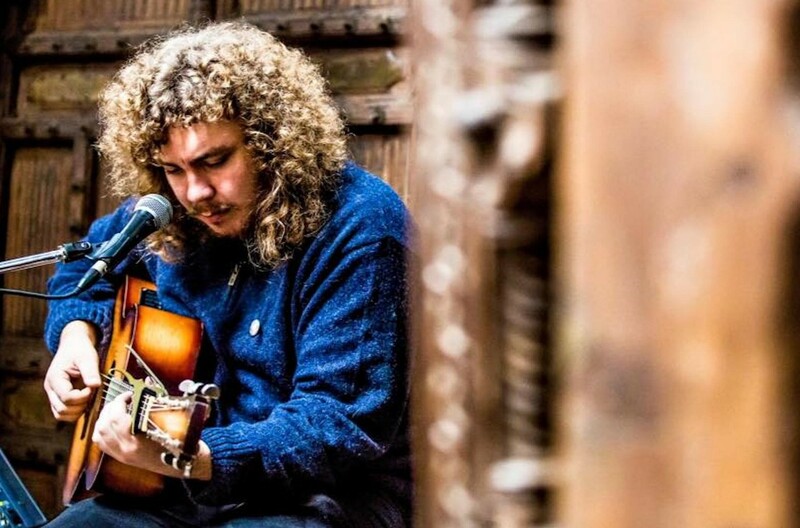 Blues-soul outfit Checkerboard Lounge will headline the night, supported by local luminaries Alister Turrill and Erica Hawkey Band, and Melbourne singer-songwriter Ben J. Carter. From 7pm; entry $15. And don’t forget to put November 7-10 in your diary for this year’s Bendigo Blues and Roots Music Festival, now in its ninth edition. Also in Bendigo this month, Kyabram’s The Wooden Lions will rock out at the Golden Vine on Friday, February 15, preceded by a solo acoustic set from Flora, and American easycore trio Trophy Wives. From 9pm; entry $5. Singer-songwriter Sherri Parry and Band’s folk-infused feels take over the Vine on Saturday, February 16, with support from fellow local Steph Bitter. From 9pm; entry $5. Up-and-coming local singer-songwriter Rhyley McGrath brings his blues-rock-jazz cocktail to the Axedale Tavern on Sunday, February 17. From 1pm; free entry. Folk-roots duo Hat Fitz & Cara spread their gospel blues at The Old Church on the Hill on Thursday, February 21. From 7pm; entry $25 (tickets from oztix.com.au). Blues-boogie quintet Catfish Voodoo will work their hoodoo on the Golden Vine on Friday, February 22. From 9pm; entry $10. Singer-songwriter Neil Murray, a founding member of the legendary Warumpi Band, is bringing his Hindsight tour to The Old Church on the Hill on Saturday, February 23. With special guest Rachel Taylor. From 7.30pm; entry $30 (tickets from www.trybooking.com). Heavy-prog rockers Die In A Dream will host the hometown launch of their self-titled debut album, at the Golden Vine, on Saturday, February 23. Support from melodic metallers Spacegoat – also launching a new single – and stoner-rock trio Sleeping Giant. From 9pm; entry $5.